The Winter Adventure sale is on! Up to 75% OFF for over 3500 products! 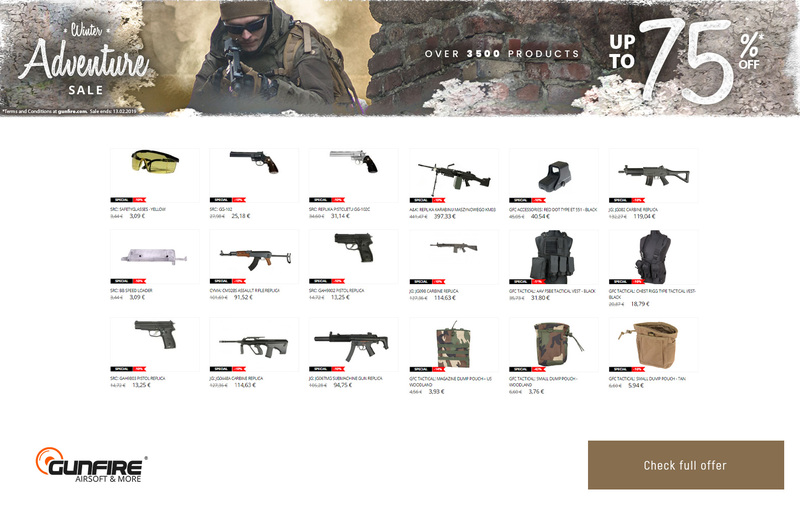 Pick a new Tokyo Marui replica, Condor equipment or Modify parts at low prices and enjoy airsoft in winter! The upcoming 10th edition of the GFPOINT airsoft orienteering run is an extremely important event for us. Nearly 400 daredevils have already signed up to participate in four demanding categories, including the Adventure category with includes elements of LARP. Will they manage to overcome the severe conditions of Góry Suche and discover all its secrets? We will find out soon enough! Meanwhile, on this occasion, we are launching the Winter Adventure sale with over 3500 products discounted by up to 75%. Celebrate with us the upcoming anniversary edition of the GFPOINT race and take advantage of low prices of replicas, equipment and parts!